How much is an update / upgrade? Do I have to purchase a new FORTE every year? Just how much is FORTE? Which FORTE edition is the right one for me? Should I buy the download or the box? I’ve bought FORTE, but it does not accept my license key! Can I digitize my PDFs? Can FORTE Scan read my PDFs? I need help! How can I contact you? Can I just talk to somebody? Can I use FORTE on my MAC? I play the guitar, banjo, ukulele... Can I write tablature with FORTE? Updates are free of charge. Updates contain small bug fixes and work towards greater stability. Generally, updates are available for the last two versions. When your computer is connected to the internet, go to the main menu “help” and select “check for updates”. If there’s a new update available, download it. 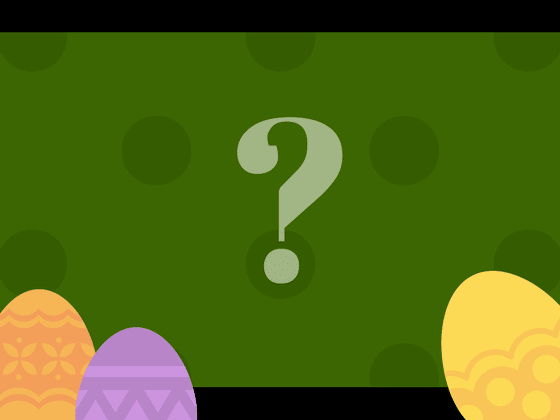 You can also use this link to check if there are any upgrades available for you. No, you don’t have to. If you’re happy with your FORTE, we’re happy as well. Yet we do recommend you do a thorough check of the new FORTE in autumn. The new version is always optimized for the respective operating system. Together, they run safe and smooth. That means the chances for freezes or shutdowns are low. The introductory offer usually lasts for a few days and you’ll receive the news about it well in advance. Maybe one of the preview showed you some interesting new feature? Then download the trial version in any case and try the new feature! During the introductory offer your upgrade rates are as good as they'll ever get for you. Being a FORTE customer, you’ll get your upgrade rates and information ahead of everyone else! FORTE has one version, like for example FORTE 6, FORTE 7 or FORTE 8. Each year, a new version is published: FORTE 9 will be released in 2017. Each version comes with three editions: Basic, Home and Premium. FORTE is available as a download license or in a box. We cannot give you a general recommendation as to which edition ist the right one for you. The best edition for you depends on what kind of music you're making and which functions of the program are essential for you. There's an overview of the different editions here labeled "Every detail you need to know about FORTE". Buying a box you have a physical product that you can touch and put on a shelf. Sometimes, it’s important to have that kind of feeling for a purchase. However, producing CDs and boxes and wrapping and shipping them requires a lot of energy and resources. This causes environmental stress. That’s why the boxes cost an additional $10. Boxes are produced at the release date (Version X.0). That means if you buy a box at a later time in the year, you’ll have to install an additional upgrade right away (Version X.1). Your download license is with you right away and you can get started immediately. Even on a Friday night. Licenses are always sent to your paypal account (!). Please remember to check your spam folder, too. A download doesn’t require any ressources save for an internet connection. They are eco-friendly. Download licenses are always up to date – you’ll always get the latest version. We recommend you save the setup file of your license, say, on an external hard drive. And even if you lose this file, we’ll always be able to send you your download link and license key again. You’ll probably also see an error message? If you buy a FORTE license, you’ll have to download and install the full version first. You cannot use your license key to “open” your trial version. You can test each edition of FORTE once for 14 days. The trial version is fully functional. You can test, write, save and print your first scores. You will not be charged anything. After the testing period of 14 days, the program just won't open again. You do not have to cancel anything. Of course, you'll be able to access your saved scores when you decide to buy a FORTE license. During the trial period, you'll get some emails to help you get started. These are sent automatically (once again - this is a great help to you on a weekend!). So it might happen that the emails and your actual trial period are somewhat not 100% syncked. The following page will provide you some useful information: You'll get an overview of the differences between the different FORTE editions. You'll be able to download a fully functional test version. FORTE Scan is an exclusive feature of FORTE 8 Premium. At the moment, you cannot digitize PDFs directly. But if you use a free service like smallpdf.com you can convert your PDF into an image file like jpg. These image files can be digitized by FORTE Scan. Our ﻿﻿﻿BLOG features a lot of tutorials. Many of them are inspired by the questions other customers asked us. On the right hand side, you find a tag cloud. Click one of the tags to find all posts linked to that tag. Then there's our ﻿﻿c﻿﻿﻿﻿ustomer support forum. 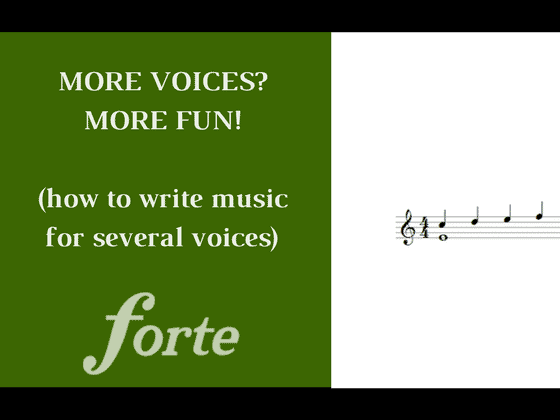 There are many articles and video tutorials about FORTE. We update the articles regularly. You can also search the article data base. If you don't find an answer to your problem in our knowledge data base, you can always write us a message. (1) Please always provide the exact version and edition of FORTE you're working with. (FORTE 6, 7, or 8? FORTE Basic, Home or Premium?). Please provide information regarding your operating system. (2) If possible, use the same email address that's also linked to your licenses. (3) Please be as precise as possible when describing the problem. The better the details, the easier for us to help you. Stating something like "I didn't do anything" or "I just entered normal notes" or "then there was an error message"... makes it next to impossible to determine how we could possibly help you. If you see an error message, take a ﻿﻿screenshot right away. Great! Unfortunately, no. We cannot provide any support via telephone. In the vast majority of all requests, it's greater help if we can send you a link or an illustration. Or you can send an error message or your score to us. This exchange of information does not work on the telephone. If you write a message to us, we usually get back to you within a working day. We're just a small team located in Northern Germany. Please note that email support is completely free of charge. And we're always happy to help you! At the moment, FORTE is optimized for Windows 7, 8 and 10. Other operating systems, such as Linux or Ubuntu, are not supported, either. Please note that using older Windows systems (say Vista or XP) can lead to massive stability and safety issues. We cannot recommend continued use of these systems. Can I write tablature with FORTE? 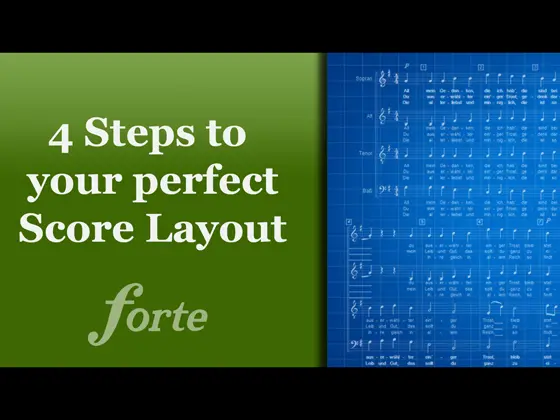 Yes, FORTE supports the use of tablature. You can even edit the instruments according to your needs. To be fair, though: There are special programs for guitar available. If you're mostly writing tabs, these other programs might be a better fit for you. 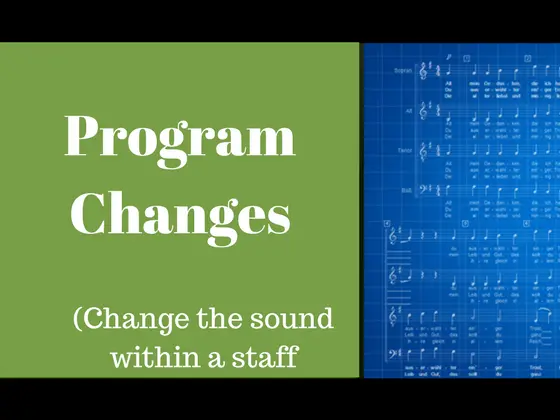 How do I change the sound within a system or stave (program changes)? When you have it ready for Mac, please send me a note and I will use it there. All of my music stuff is on mac and I am so used to that, I hesitate to get another computer and use it in my studio. Thanks, it does look like a great program. we surely will tell the world when we’re having a version for MAC! Quick question: How many machines can Forte be used on? I have a laptop and a desktop (on which I do most of my music work). Also, do I have to register 8.5 before Sept 5, now that I have the email license? Because I won’t have access to the desktop until the 7th or 8th. sorry for getting back to you that late. Your FORTE license is valid for two devices. I Have Forte 5 basic. I would like to be able to connect my piano to my forte software so I can compose directly from my keyboard into Forte. I have a Yamaha DGX-230 piano. If I can connect how do I set it up. My computer crashed and I lost most everything. I still have the program for Forte 7 but not the activation code. I bought Forte 8 but I don’t have anything. Can you help? I’m Sao. I wanna write the cajon drum part. How can i do that? How can I open the drum notation pallete? I currently have the trial version and cant seem to add slurs or fermatas, can you help me? 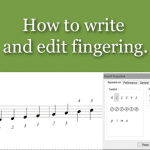 (1) If you want to slur notes, mark them, then right-click. The context menu gives you the various options. tab “Tempo”. 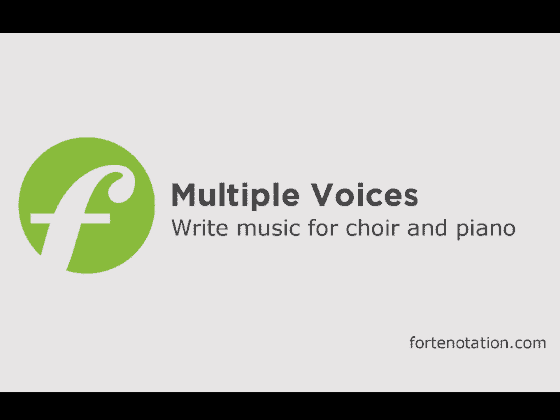 Select the fermata, then select the note to add the fermata. For the life of me I can’t figure out how to add the fret numbers to the strings on the guitar tablature. Is there information somewhere that tells us how to do this? after you have entered a note simply press a number key. That’s great. Thank you for supporting FORTE! I now have the latest version of Forte9. My question is, when I import an orchestral MIDI file all the staves default to a Grand piano sound. I know that the original file has all the correct info. such as instrument, volume etc. It does not seem to make any difference whether it is for 2 parts or 10 parts – everything is played back as a piano. I would appreciate a comment from you. please deactivate the option “Use VST” in the main tab “Playback” and check if the instruments sounds correct. sorry for getting back to you this late. The scan module is an exclusive feature of FORTE 9 Premium. See the “Every detail you need to know…” button. 1) Will it display more than 1 page at a time, i.e. show 2 or more pages simultaneously on one screen, to avoid page turning, if possible, while playing and reading? 2) How does one turn a page? 3) I wrote a lot of scores in “Encore” will it read those scores? 4) Do you have a training video, to get started? 5) Since there is no phone help, do you have a search manual? 6) What is the major difference between your Home and Premium version? 1) Yes, you can display more than one page. The amount depends on your screen’s resolution and your reading comfort. 2) By scrolling or the usual gesture on the touch surface. 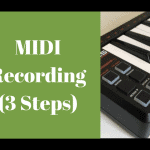 3) The files need to be in xml or midi format to import them to FORTE. e.g. Part extraction and scanning are features of Premium only. When using Play Back with song you create, does it play the tune and sing the words too. also does the freeware version use tablature as I play with guister and can only read tablature ? (you can edit the playback towards a human voice that’ll sing “aah”). 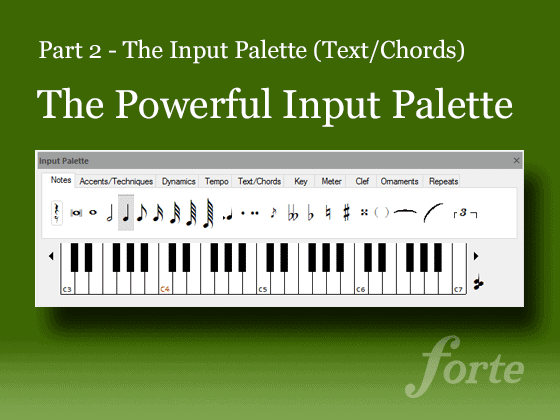 Yes, tablature is included in FORTE Basic, Home and Premium. I have Forte 8 Basic. I need to tie some notes together. However, the first note is the last note of a staff line, while the second note is the first note on the next staff line. I am unable to use the “boxing” method to include both notes because the boxing mechanism apparently does not go serially down to the next line. I’m thinking that if I used a view of Track, I would be able to tie the notes together. Is there another way to tie notes on two lines together using Basic or do I need to upgrade? If I upgrade, will the “Home” version do what I need? You can also click the first note, press ctrl, and click the next note. Once both notes are marked, you can tie / slur them via the context menu. You have more view and layout options with FORTE Home, yes. So you’ll be fine with that version. I now have Forte 9 and I am enjoying it!! I have a two questions. I just hit the “premium update” and it looks like it updated it. But I lost the sound nothing comes out when I hit “play” on any of my saved pieces, it was fine before update. I plug in my electronic piano to my computer to connect them when I first got Forte 9 which stop all the musical instruments sounds and it just plays the sound of my piano. How can I get the instrument sounds back. Thank you for your time and attention to my questions. please start FORTE in admin mode to solve that kind of problem. Do a right click on the forte icon of your desktop and select the option “Run as administrator” from the context menu. I have my sound back and can work again! There’s a fix upcoming for the ledger lines in FORTE 9 in a couple of weeks. Generally, the program will inform you about available updates. You can also manually check for updates in the main menu “help”. But no audio is coming from the program. Even the default sheet programs : like the Beethoven can’t be played. please start FORTE in admin mode to reset the audio playback. Simply do a right click on the FORTE Desktop Icon and select “Run as administrator” from the drop down menu. I bought Forte 8 Premium a couple years ago. I recently got a new computer, but I cannot download Forte 8 anymore. I tried using the download link that I had used before, but it automatically downloads Forte 9 trial version. Is it possible for me to re-download Forte 8? Dear Alexander, I could send you another FORTE 8 download link, but I can’t find your license under this mail adress (bassoon18@gmail.com). Maybe you used another address back then? If so, please send us an email to support@fortenotation.com. I am having difficulty loading organ score into treble and bass cleft properly. There is no separation at middle c.
can you please send a more specific request to support@fortenotation.com? If you attach the file you are having trouble with, we will be able to help you much faster. Pouvez-vous me dire quand est-ce qu’il y aura une mise à jour de FORTE 10 pour réparer BANDORA qui ne fonctionne pas. 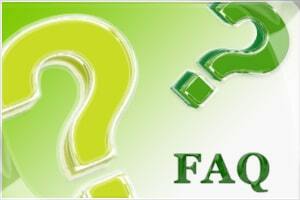 Can you tell me when will there be an update of FORTE 10 to repair BANDORA that does not work. I will answer your email separately. I installed Forte 10 premium for the first time. I still can’t find how to display a virtual piano?! to display the virtual piano, please drag the input palette to the bottom of your screen (there is a video example here: https://youtu.be/7bDoRbDpAlw?t=97). It will display the notes during playback. And during play-back, can I assign differents colors for the notes on the virtual piano ? No, unfortunately that is not possible. You can tweak the labeling a bit in the main tab “Options” under “Labels”, but that only affects the note names displayed on the keys. Which software allows me to transpose treble clef to bass clef music for tuba? I installed Forte 10 Home for the first time. I can not open the mixer. Is it a limitation of the version? there is no limitation. When the “Use VST” option in the playback ribbon is active, you have to set the volumes in the “Edit Instrument” menu. With “Use VST” inactive, the MIDI mixer will open at the mixer button. this feature is one of the advanced playback options that are only available in FORTE 10 Premium. Hi, I just bought a basic Forte 10. I was expecting a link to download this software, but have not got it yet. Can you help? we will send you your license again. FORTE 10 Premium (originally created on 12/3/18) was working fine until I installed the latest UPDATE (Version 10.0.6), which was installed on (3/25/19). I am using Windows 10 operating system. Since this update I cannot get any sound on playback. Please let me know what is needed to correct this problem. 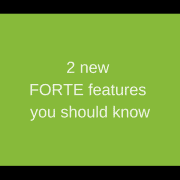 please download the latest update FORTE 10.0.7. The issue has been fixed. Can this program be used for students in a classroom setting? software upload? is there a package available for students/schools?